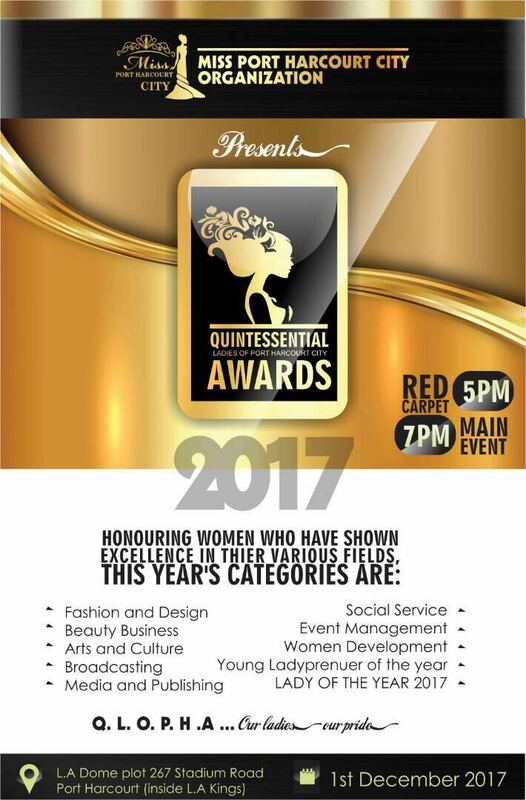 The Quintessential Ladies of Port harcourct City Awards (QLOPHA 17) is a brilliant inclusion to Miss Portharcourt City activities towards celebrating quintessential women. 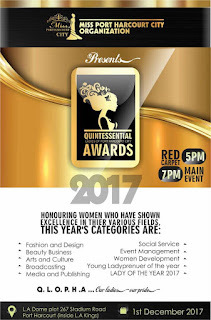 It is a female-only award ceremony that honours and celebrates Rivers State women or those whose cause, businesses and projects are domiciled in the city of Portharcourt. These women are seen to be leading their sectors. 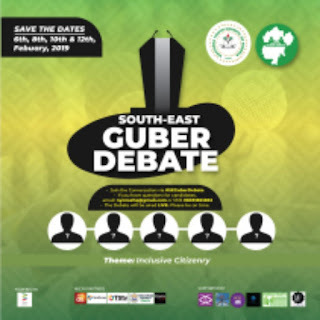 The Executive Director Anita May Igoni promises The QLOPHA has come to stay and will be an infused ceremony which will be held mid-way our annual pageant.